Though we do have little pockets of green here and there, New York City has never really been known for its nature. This is especially true during the colder months when hibernation is basically the only sane option, and a proper dose of sunshine requires a seat on a plane headed due south. I admittedly love any excuse to get out of town, but unfortunately, that isn't always possible. The next best way to cure a case of urban cabin fever? Finding a way to bring a bit of nature home through the things we eat and drink! 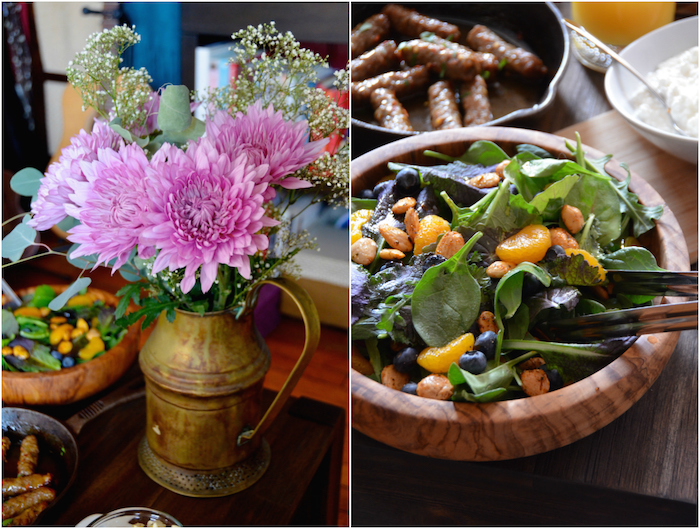 This month, I partnered with Simply Orange to create a couple sunshine-filled brunch recipes to help you bring a bit of fresh-from-the-grove flavor into your home, no matter where you live. Oranges have always tasted like summer days to me, and I think a tall chilled glass of orange juice (or a sparkly mimosa!) is one of the quickest ways to infuse a bit of bright summer into your day. 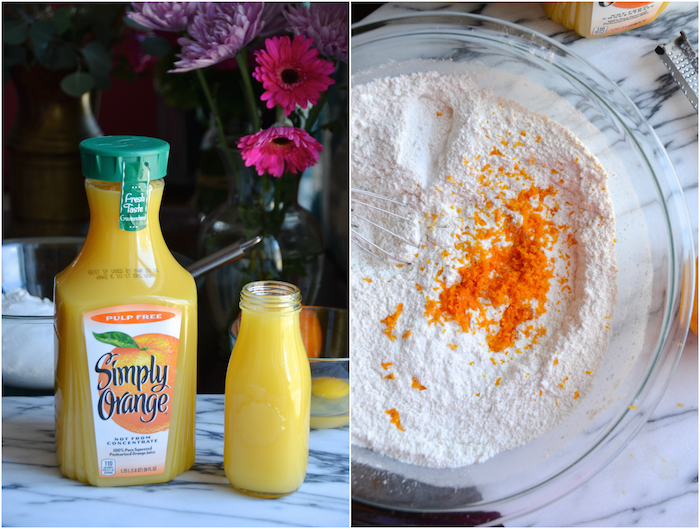 I've been buying Simply Orange Juice for years because I love the great freshly-squeezed taste, and the fact that it's never concentrated or frozen or sweetened. (Why other people do that to orange juice is beyond me, but these guys don't and I love 'em for it.) It's just one of those things that really does make a difference whether you're just enjoying it by the glass or using it in a recipe. By the way, baking with orange juice? Totally a thing you should get into. 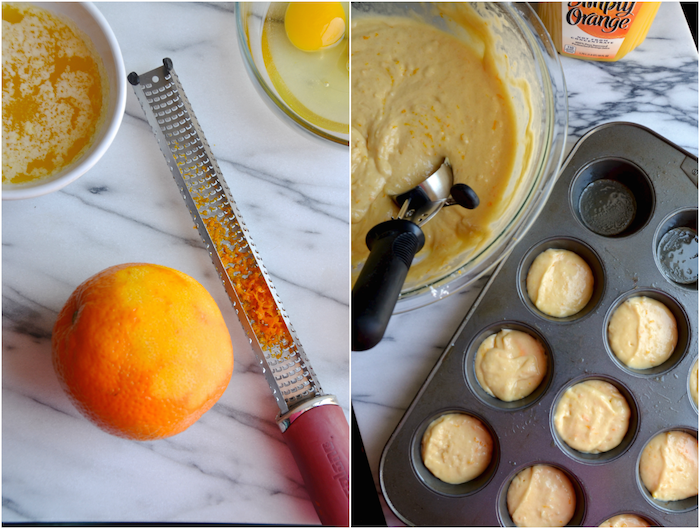 These super easy homemade Orange Sunshine Muffins are filled with amazing orange flavor (they have a full two cups of Simply Orange juice in them!) and are a perfect treat with which to start the day. This is one of those just stir and bake kind of recipes; no fancy mixer or equipment needed, which makes them perfect for the morning. Click here to get the muffin recipe. I divided my batch into 12 regular-sized muffins, and 6 giant bakery-style ones topped with a crackly sugar crust, just because giant muffins are the best thing ever. Another thing that's the best thing ever? A sparkly brunch cocktail! This fizzy Orange Rose Mimosa adds a bit of rose water and fresh lemon juice, for an elegant twist on the classic. 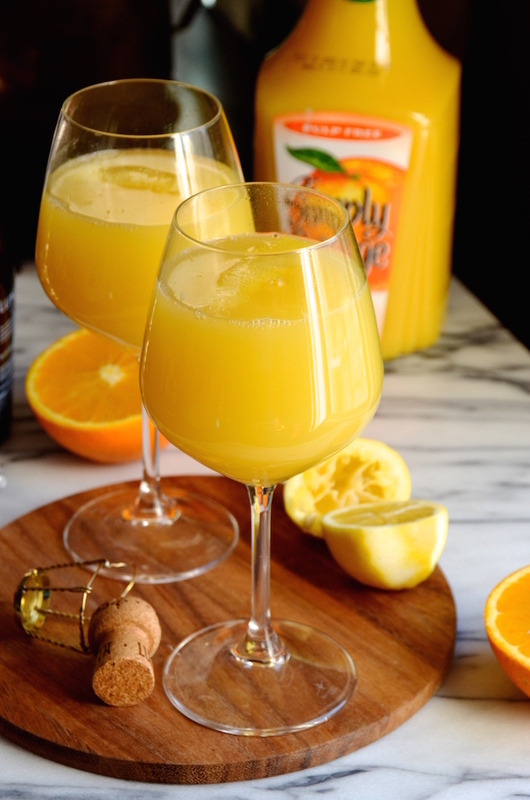 Though I usually love a little pulp in my orange juice, I think mimosas work best without pulp, so the Simply Orange Pulp Free is my go-to for these. 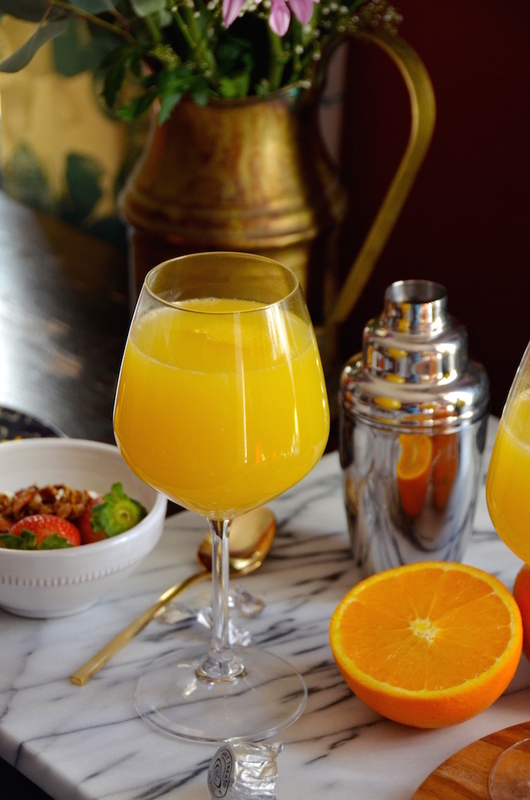 Click here to get the mimosa recipe. 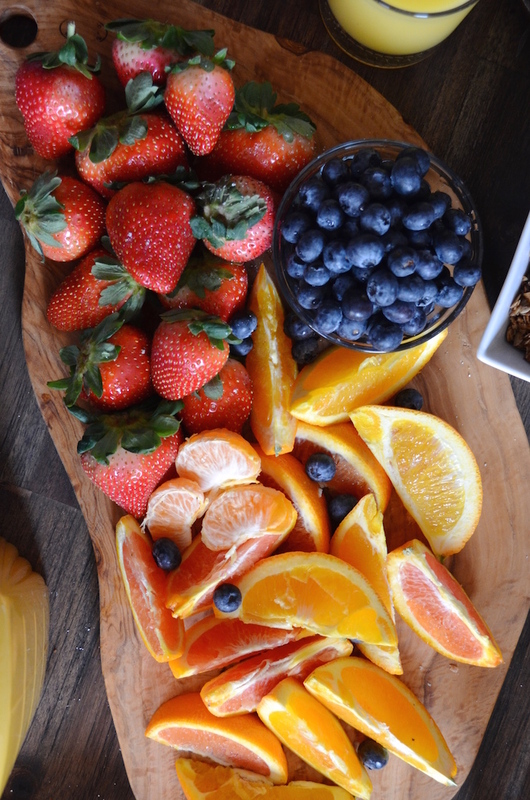 A fresh fruit plate is definitely a must; I love arranging one on a big wooden bread board, and just piling it on. 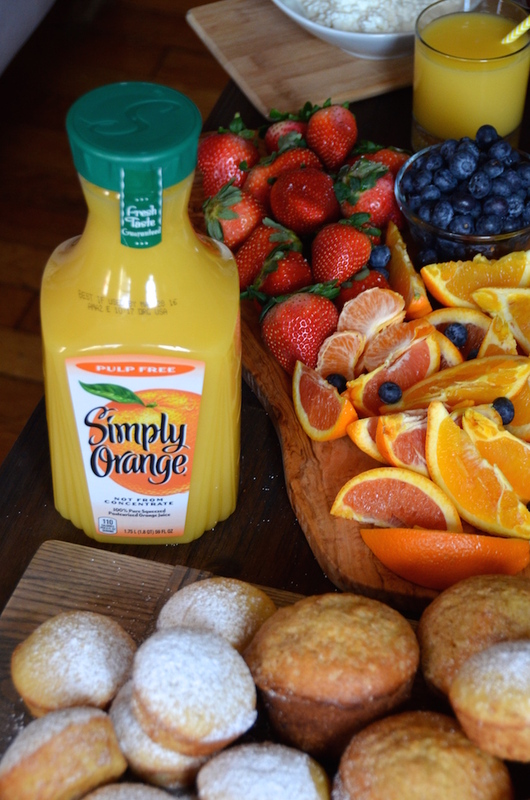 To go along with our mimosas, I went with a selection of oranges and mandarins, bright red strawberries, and plump blueberries. Cut the oranges into big wedges, and let everyone dive in and get real juicy and messy. Instead of a selection of cheeses, why not try dressing up a single soft cheese with a few toppings? I started out with crumbled goat cheese, and then sprinkled olive oil, dried lavender, and chopped mint, then served it with little toasts. Experiment with your favorite spices and toppings. A big salad of mixed greens tossed with spiced nuts and fresh fruit is another lovely addition. Finally, some crunchy granola, and yogurt or cottage cheese is a great way to round out the simple menu. 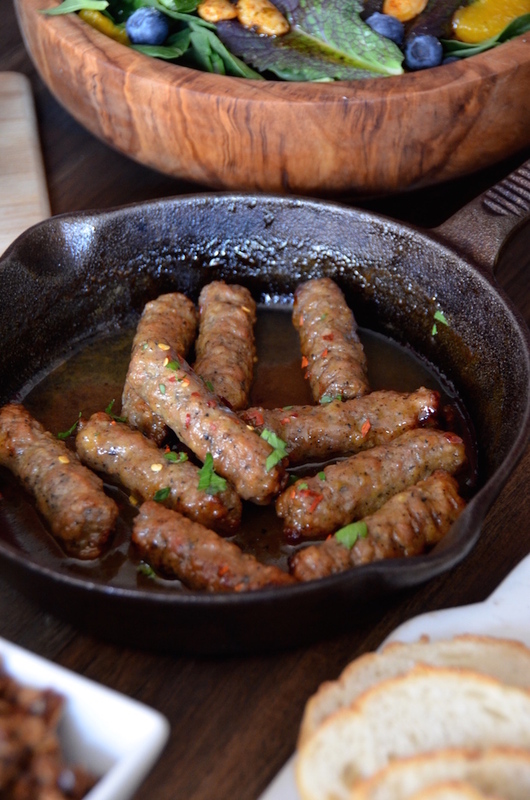 I hope this has inspired you to give a couple of these recipes a try! For more Simply recipes, visit the Simply Facebook page, and if you're in New York, click over to Simply Grove to Gotham for product coupons and more ideas.. This post was created in sponsored collaboration with Simply Orange. Thank you for supporting amazing companies like Simply that make it possible for me to keep bringing you great new recipes!